More development is coming to east Leesburg. The Town Council on Tuesday approved special exception and rezoning applications for Brown’s Car Stores. 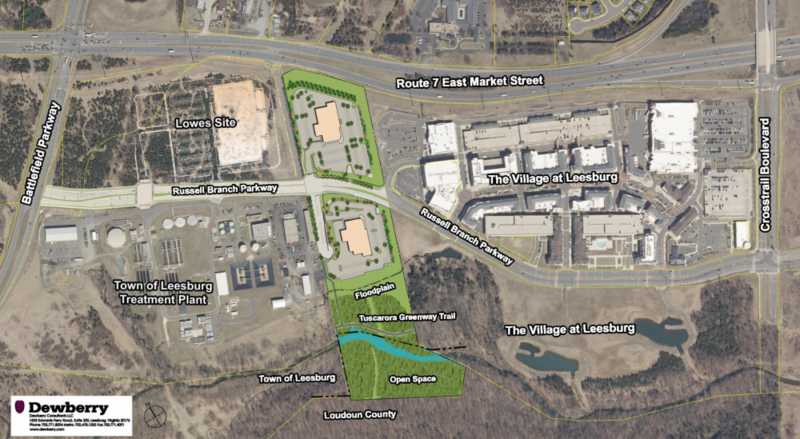 With the action, 17.64 acres along Russell Branch Parkway, between the Village at Leesburg and the Lowe’s Home Improvement Store were rezoned from I-1 (Industrial) to B-3 (Business). The approvals pave the way for the construction of two automobile dealerships on the north and south sides of Russell Branch Parkway. Each dealership would be a maximum of 33,502 square feet, and both will contain indoor sales areas, outdoor vehicle display, and service areas. 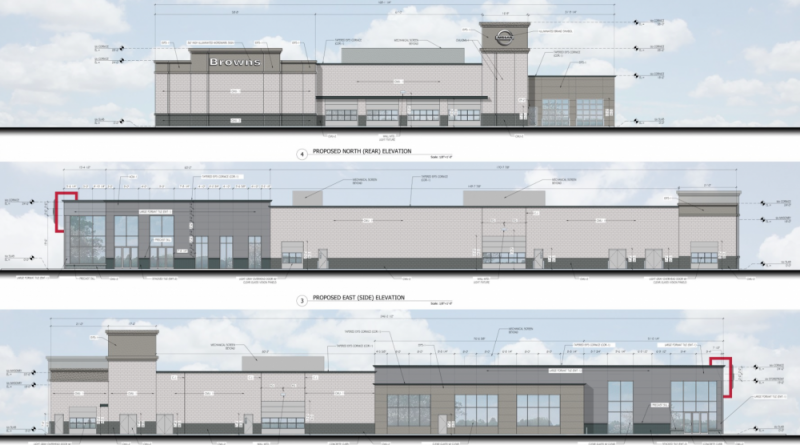 According to a staff report, the dealership on the north side will be located between Lowe’s on the east and the Cobb movie theater parking lot on the west, with East Market Street to the north. The dealership on the south side will be between the town’s Public Works/Utilities facilities to the west, and an open space area in a townhouse section of the Village at Leesburg development. Along the south edge of the Brown’s property, the developer plans to build a portion of the Tuscarora Creek pedestrian/bike trail. The Town Council had previously approved a Town Plan amendment to change the land use designation of the property from Regional Office to Community Office/Light Industrial and remove plans for a Keystone Drive connection from the town’s Road Network Policy Map. Tuesday night’s vote on the rezoning and special exception applications was unanimous. An amendment proposed by Councilman Ken Reid prohibits the applicant from installing outdoor intercoms at either of the dealerships.